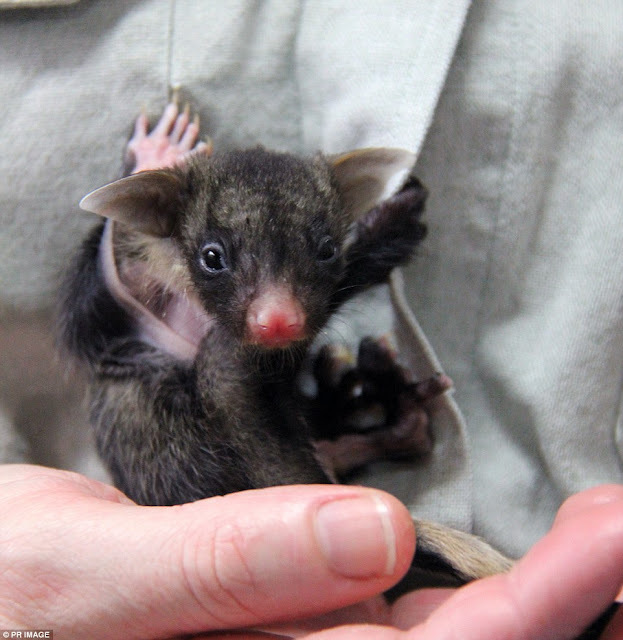 A yellow-bellied glider joey is recovering well after she was found in her mother's pouch when the pair crashed and became stuck in a barbed wire fence. 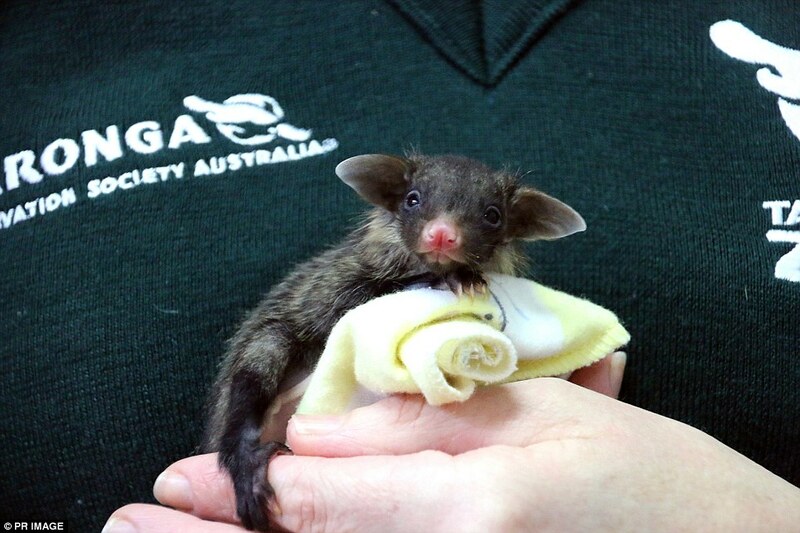 The mother and child, who is yet to be named, were rescued earlier this month from the Central Coast by WIRES wildlife carers, and taken to Taronga Wildlife Hospital. 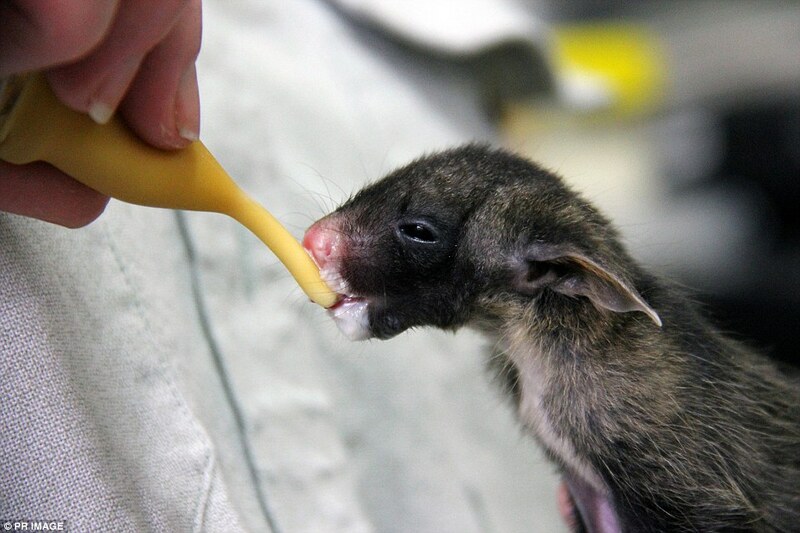 Since then, the baby glider has been receiving around the clock care by vet nurse Felicity Evans, who feeds her six times a day from a dessert spoon. 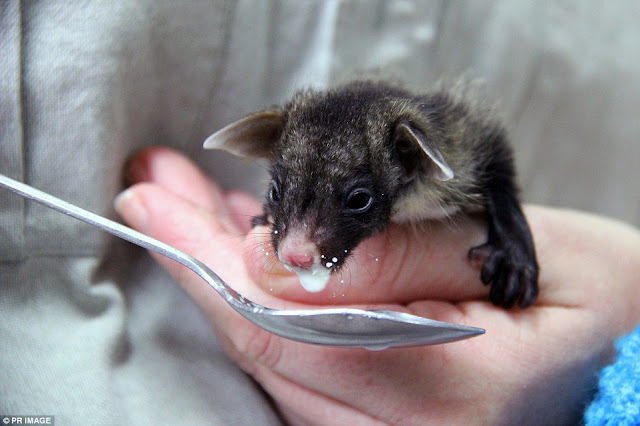 'She gets really excited about food and can be quite a messy eater,' said Felicity. 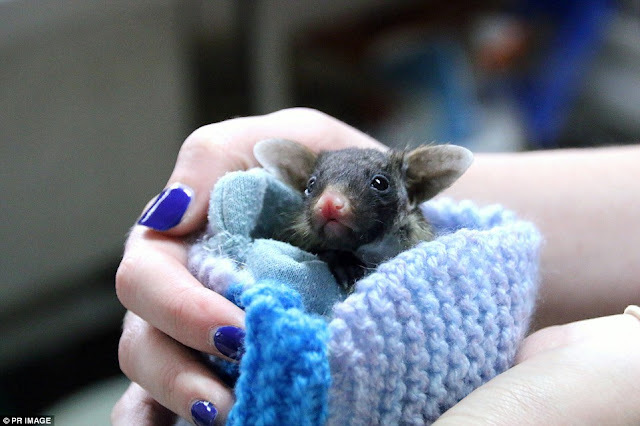 Growing from 48 grams to 80 grams in two weeks under the hospital's care, the joey can be a handful despite its small size. "She's got a big personality for such a tiny animal. She climbs all over me and is very vocal if I have to wake her up for a feed. She doesn’t like being interrupted during sleep," Evans said. 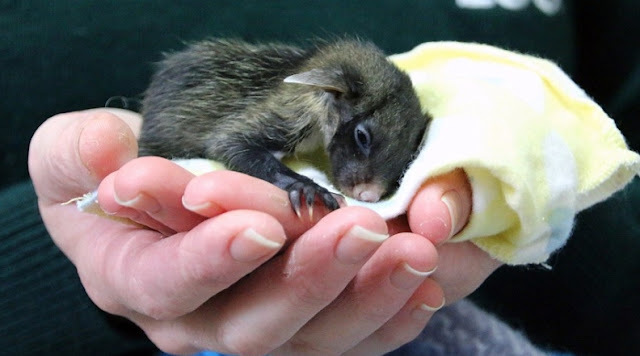 Both mum and joey will remain at the hospital for a little while longer, as they recover from their ordeal. Due to the extent of the mother's injuries, she won't be released and will remain in care at Taronga, but her health is improving. "Mum is eating well and healing nicely. Her range of movement is restricted, but she's working out what she can and can’t do and getting better with practice," Evans explained. 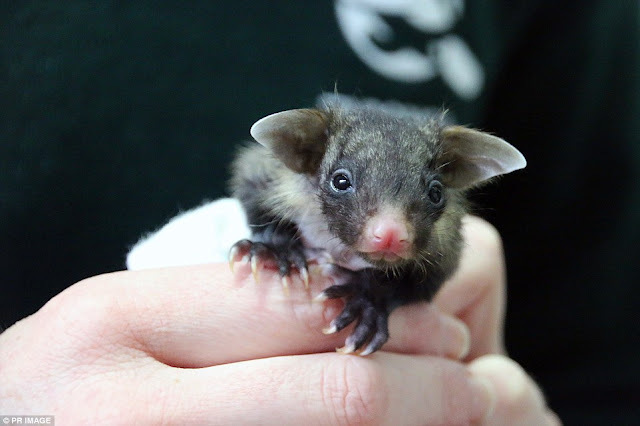 Responses to "Impossibly tiny glider joey and her mother were rescued after collision"